This entry was posted in Uncategorized and tagged Adventure, California, Disney, Disneyland, family, Mickey, Mouse, Vacation by christao408. Bookmark the permalink. How nice getting a photo and autograph from Mickey. I have yet to try the Tower of Terror! 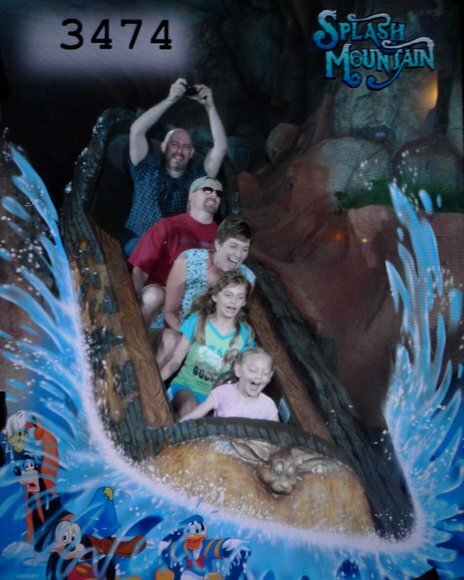 I would really like to see what the photo looks like that you were snapping as you went down Splash Mountain.And a quick correction, this was the girls’ first trip to southern California. They’ve been to northern California. Do they still have Soarin’ over CA in the CA Adventure Park — it was my fave when they opened the new park. 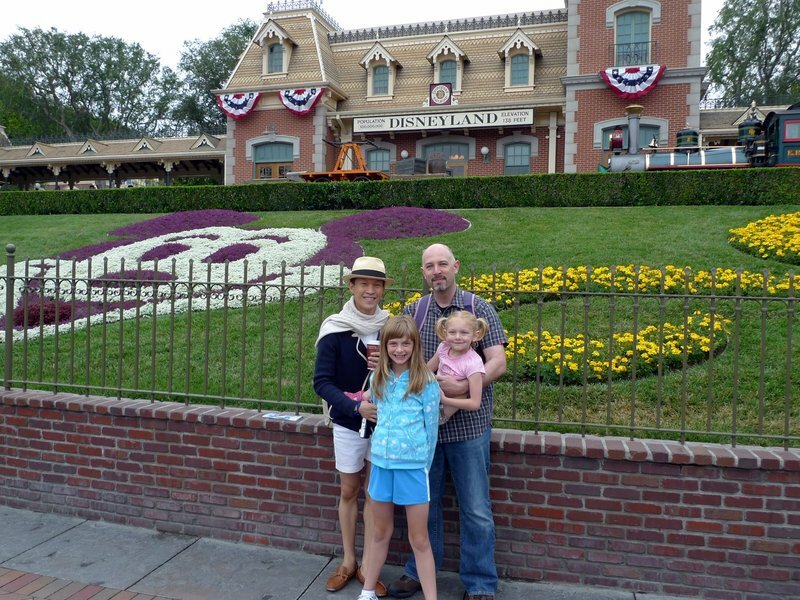 Other than that, I’d agree that Disneyland is far more fun with kids. Glad you had perfect weather for Disney — it will be too hot from now on till late fall! Looks like lots of fun! It looks like you had an awesome time. 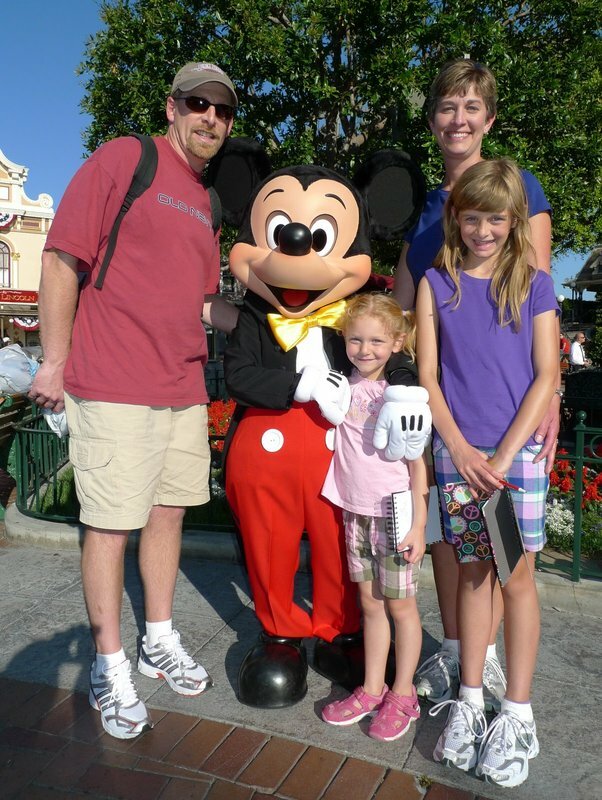 My family went to Disney almost as soon as we arrived in the states. I only remember a few rides from it. Disney is so much fun! I want to go again. This time without the kids – so I can ride “It’s a Small World” without the whining. hehe! 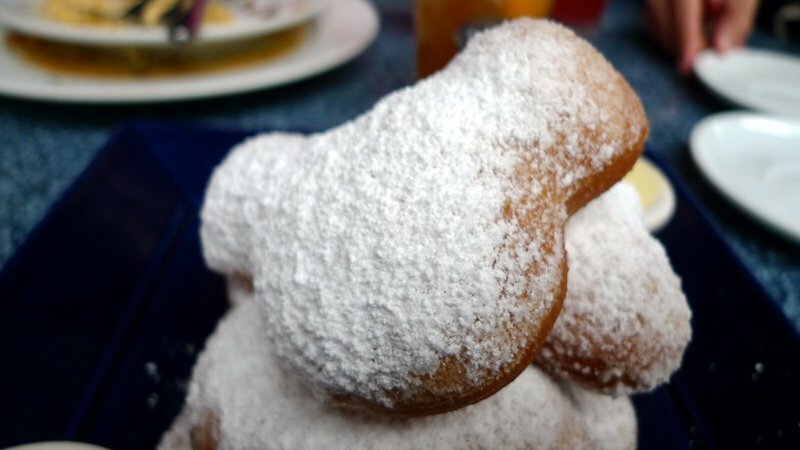 This makes me want to go back to Disney World. I have to plan a trip to Disneyland though! This entry is triggering all sorts of memories and emotions. I’m happy that both you and Tawn manage to find time to be part of each of your families lives. Very nice, I’ve been to Disney World but not Disneyland yet. It’s on my to do list. Mulan looks great btw. I find it funny that one of the “Related Posts” that Xanga is suggesting is Fish Tacos with Avocado Cilantro Lime Cream Sauce. Really? How is that related? 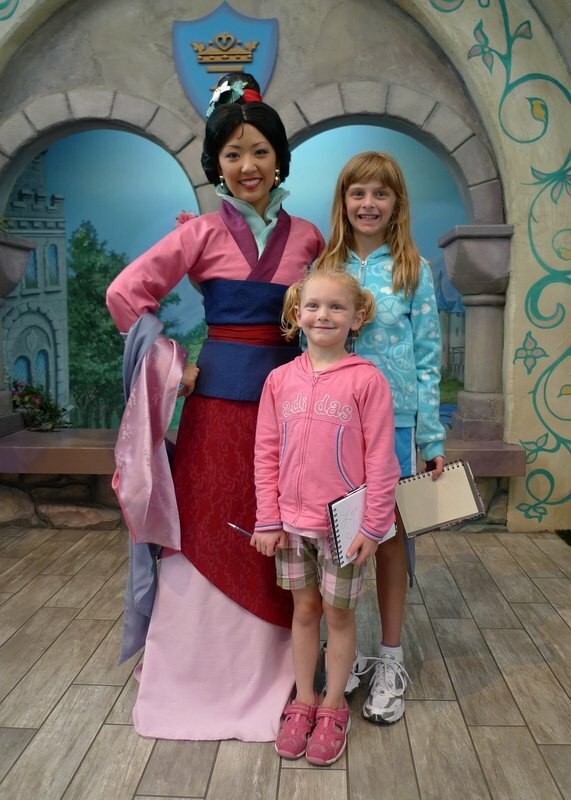 @Roadlesstaken – Yeah, Mulan was pretty attractive. I was about to pass her your blog address, but thought that might be déclassé. @ElusiveWords – Want to talk about those memories, Matt? 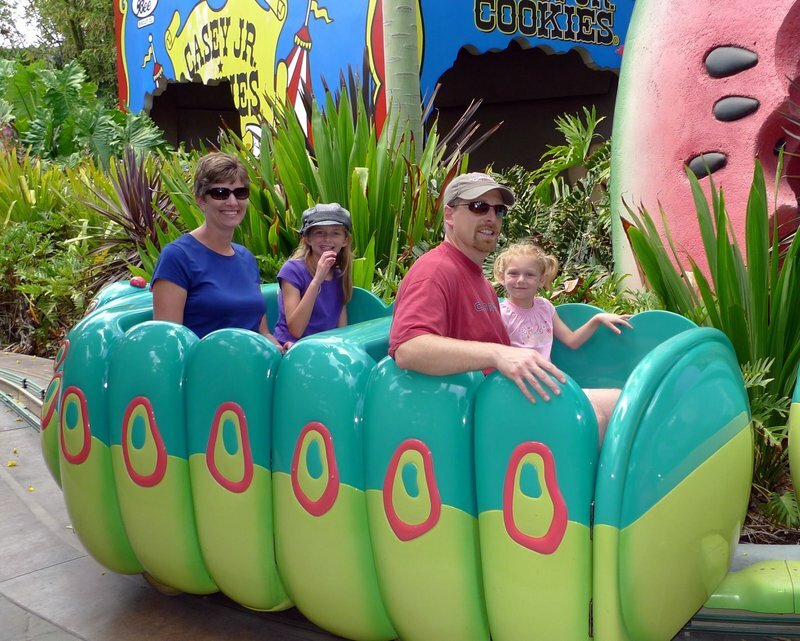 @jennfaceee – Having gone to both, I enjoy Disney World more simply because it is larger and more spread out. 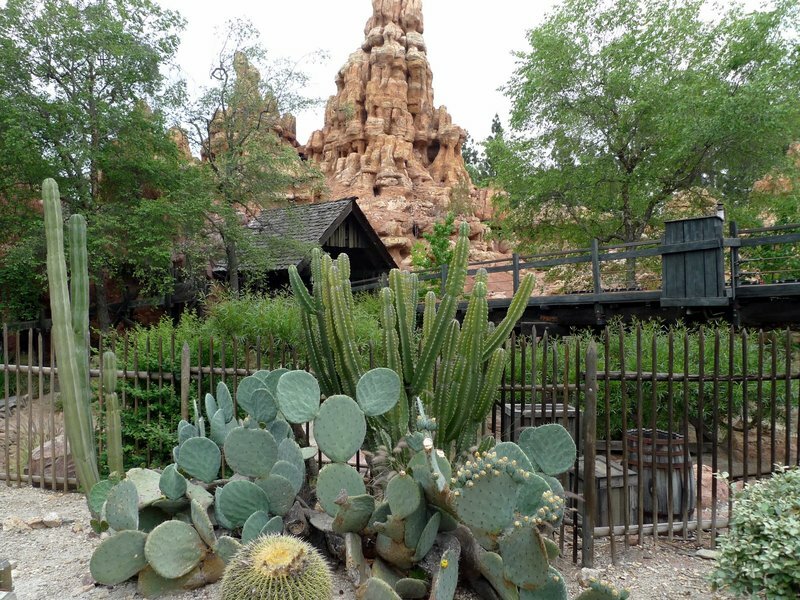 It is easy to feel crowded in Disneyland, which takes away some of the magic. 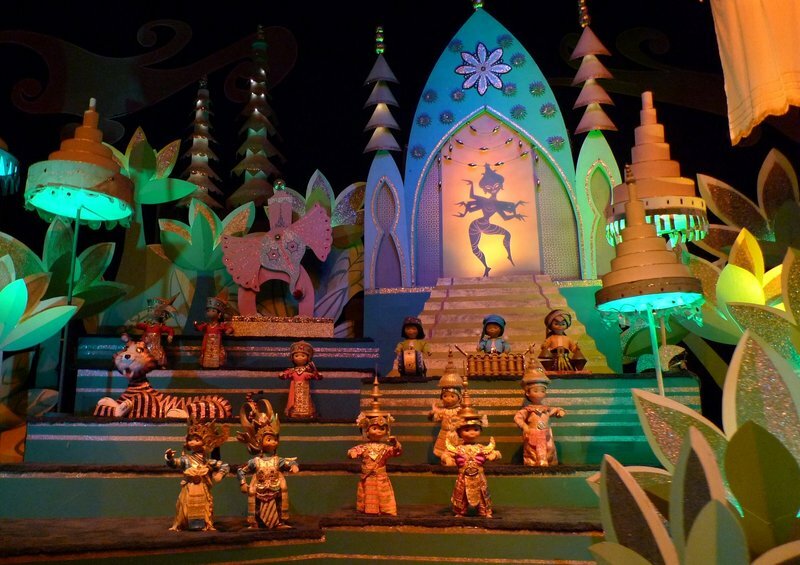 @murisopsis – Oh, so you weren’t the one whining about riding “It’s a Small World”? Usually, it is the parents who whine about that one. 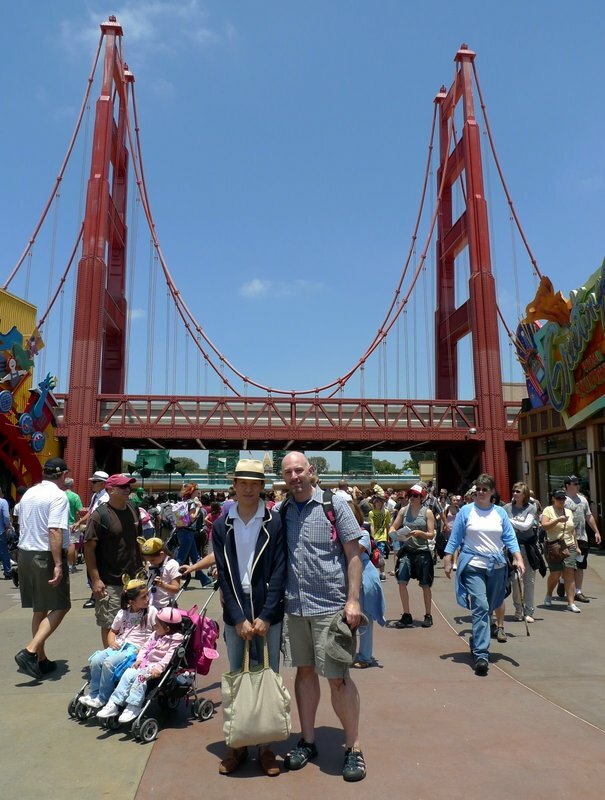 =D@flann00 – As near as I can figure, Disneyland should be a must for all new immigrants to the US. It tells you more about America, or at least how America perceives itself, that just about anyplace else. @stevew918 – Such a shame, although you live near enough that you should be able to get there with no trouble. In between all your globe-trotting, of course. @slmret – Yes! Soaring Over California was a highlight of the park, I think. Very enjoyable and, as a native Californian, something that made me feel a lot of pride in the natural beauty of my state. @The_Eyes_Of_A_Painter – It sure was. @alextebow – Alex, of course you are correct. They attended your wedding up in the Bay Area a few years back. @CurryPuffy – Plus, the photo turned out really nice. Added bonus! I don’t know if I could keep the pace that you did during your visit. It has been years since I went to the parks here. I have never been to any Disney Park. Though I live in Hong Kong, I have not been to the Hong Kong Disney Park yet. Maybe it is high time I visited one and wrote a blog about it. 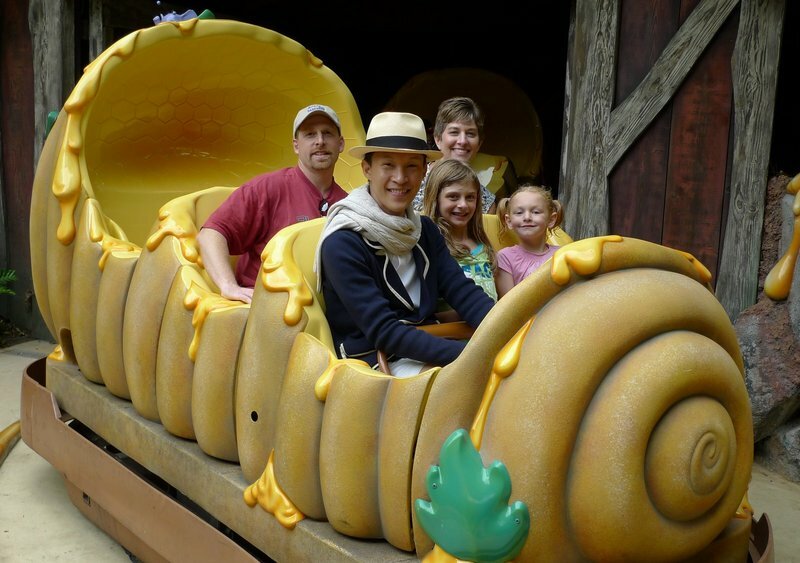 u really do look extra happy at the happiest place on earth! 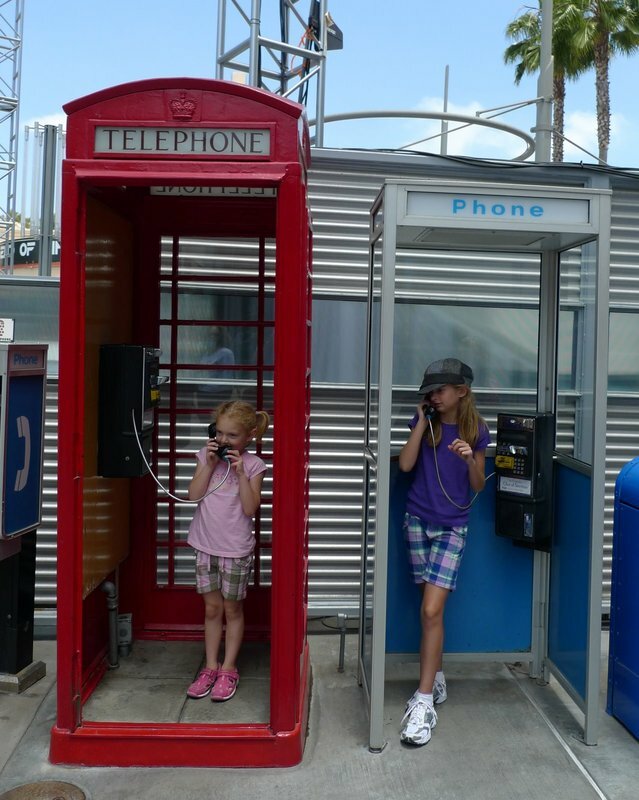 the photo with the girls in the telephone booth is so cute.btw, ur younger niece is super brave to go on the drop tower and looks sooo happy in that picture with the log ride!! Great pictures! 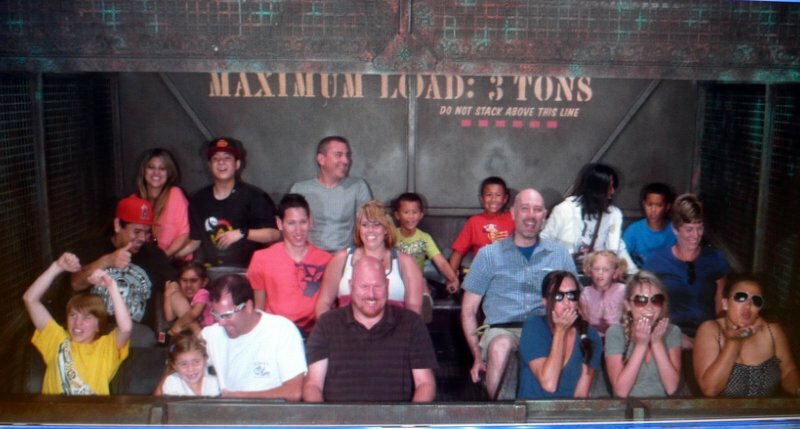 I love the Tower of Terror. How wonderful Chris. Saadia was two years old when I had taken her to the Disneyland in CA. Your pictures are delightful. I was told that Disney is more fun when you’re older, is that true? Looks wonderful actually, the kids are so happy! Photos all showed happy grins, so that’s the record for this trip and what should be remembered anyway. You didn’t enjoy the Adventure Park? 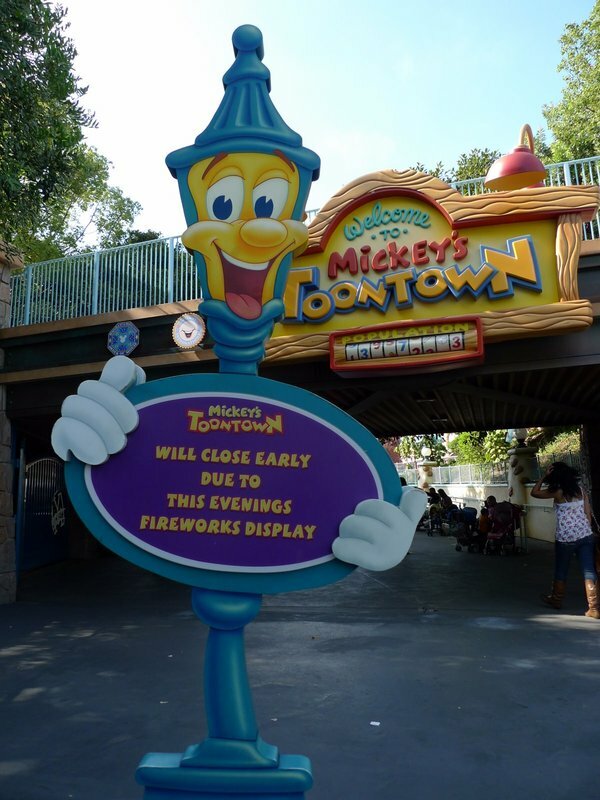 A lot of my college and jr college friends got jobs at the Magic Kingdom as entertainers. They formed Barbershop quartets, saxophone quintets, played in orchestras, danced and sang there, some for many years. Others, like my neighbor’s son-in-law have worked there for years starting as ride operators and working his way up to ride engineer. I understand the worst job is wearing a hot, big headed costume in the summer.Your nieces are the perfect age to enjoy the park, they will remember the visit for a long time.